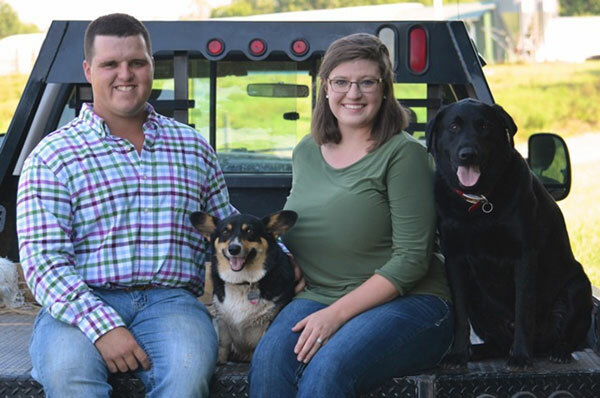 PAC Family Meats is owned and operated by Preston and Emily Cave in the heart of Surry County, North Carolina. Welcome! We are so excited for you to experience the difference of farm fresh, home grown beef. Our cattle are fed a custom mixed, home-grown ration to make sure their dietary needs are fully met. Through meticulous genetic selection and high quality feed and forage, we are able to cultivate a high quality product that will go the distance from our farm to your table. We believe the key to quality meat is comfortable, respected animals and we are blessed to take this opportunity to serve our community and spread the word about sustainable animal agriculture. It’s important to know and trust where your food comes from, so come see us today and we’ll show you around! We are here to be your farmer. You can order from our inventory at any time if you want to come to the farm to pickup your order. Just place your order, and we'll contact you to arrange a pickup time! Not ready to order? Be sure to Join our e-mail list, so we can let you know about events & specials! We are in the process of developing a Neighborhood Delivery system. More information on that will be coming soon. Please don't hesitate to contact us if you have a group in our region interested in obtaining quality beef. To see the products we have available at this moment, simply click on any product category to the left. Quantities are limited to what you see. As orders are placed, the quantities go down instantly. We update the inventory as new product becomes available. Naturally, our inventory is changing all the time, and our supply of certain cuts is limited by nature's design of animals. We need to market all parts of an animal to be effective, and everything we sell has healthy and tasty applications. It's all in knowing what to do with them! We can help you with that, if you have any questions. Please note that many products are priced by weight, so the exact pricing will not be known until we select the actual items that will fulfill your order. However, the shopping cart will show the approximate total cost for each item. When the order is placed, you will receive an immediate confirmation email with a copy of your order, including the approximate pricing. We work hard to provide healthy, wholesome products to our customers. You won't find meat products like ours in your local supermarket. Our meats are raised in a way that's environmentally sustainable, truly humane, and naturally healthy. Please order from us knowing that you are doing a good thing for your family, our community, and our small business. Let's build a better future together.